Do you know the benefits of using a VPN service ? First up, when you use a VPN service your internet address becomes anonymous; your IP cannot be traced. When you connect using a connection that is not secured you will get a strong VPN encryption that will prevent your internet company knowing which sites you have surfed. Another of the benefits is that it provides you with not only secure online dealings, but anonymous and what’s more important private online usage. This is particularly beneficial if you have an ISP that blocks certain sites due to rules and regulation. When using a VPN service the sites that are usually blocked will become accessible to you once again. If this is not enough to convince you that using this type of service is great, then this will, when you choose this type of service you also get an added layer of internet security. It has also one of the benefits of being an extra protection that you can get in terms of on-line security should be welcomed with open arms nowadays; VPNs use a virtual firewall type to protect you when you are on-line. If you are one to go out to the coffee shops and sit back and connect, you will be vulnerable to common password thieves. They are literally everywhere just waiting to get their evil mitts onto your personal passwords and data. 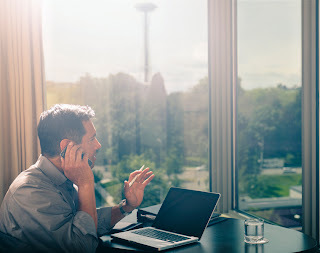 A VPN will prevent them from being able to do this as your internet connection is fully secure, even at Wi-Fi spots and outside locations. There are of course many, many more advantages to having your very own VPN service and the list is truly endless. The conclusion is though, that by not having one, you are not doing yourself any favours. It is time to make sure that your internet connection remains secure, and you are not one of the statistics that falls victim to online crime. Be wise, be smart and start looking into VPN services.